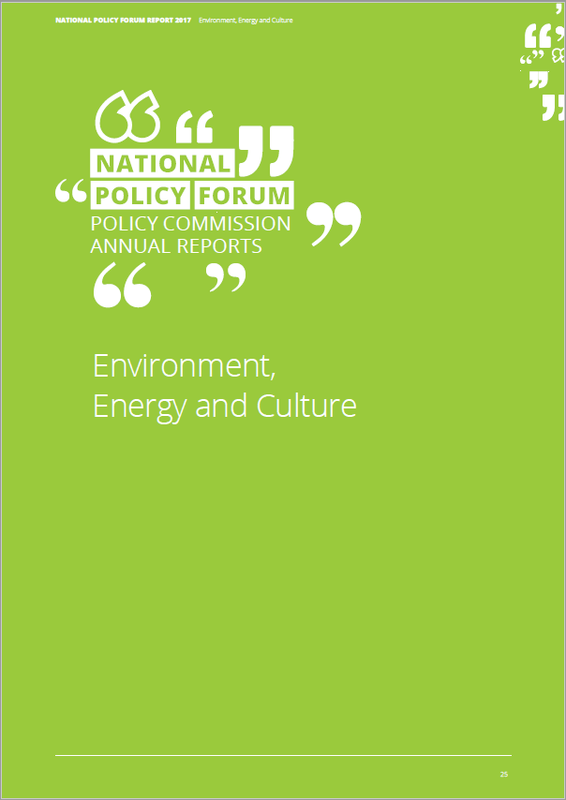 For reasons best known to themselves, the National Policy Forum has decided to group culture with energy and environmental policy. Meanwhile transport, which is a significant energy consumer and pollution source, is placed with housing and local government. To provide some coherence, I will review transport alongside environment and energy, leaving culture to someone who knows more about it. Both the Environment, Energy, and Culture (EEC) commission and the Housing, Local Government and Transport (HLGT) commission have met a number of times over the past year, discussing a wide range of topics. These include a post-Brexit agricultural system, air pollution, fuel poverty, low carbon energy sources, climate commitments, post-Brexit environmental regulations, public ownership of transport, high fares, and new infrastructure. The commissions reviewed evidence submitted by party members, the Fabians, NGOs and outside experts. Other than noting broad topics, the content of these contributions goes undiscussed. At one meeting “Alan Whitehead MP covered issues such as decarbonising the heat system and increasing renewable energy in transport as part of a wider policy platform to meet the fourth and fifth carbon budgets.” These are vital areas of policy, as transport and heating are major uses of energy which previously have gone largely unmentioned. It’s therefore unfortunate we are not told what Whitehead had to say about them. At another meeting the need for carbon capture in energy-intensive industries was raised. This is an often-neglected part of decarbonisation, but once again the commission hasn’t provided any details. 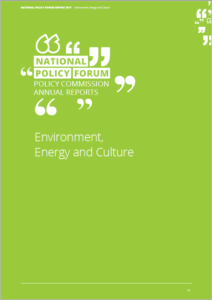 In its discussion of the manifesto, the EEC report notes its commitment to have 60% clean energy by 2030 and “to take energy back into public ownership”. However, the manifesto contained no roadmap for achieving the first goal and I suspect what the authors envision is 60% clean electricity. Unfortunately, electricity only makes up about 20% of Britain’s energy use and less than 30% of greenhouse gas emissions. The manifesto did not pledge to bring energy into public ownership, only proposing to nationalise the electricity grid at some unspecified later date and to create regional public supply companies competing alongside the Big Six. No public ownership was proposed for generation or the gas grid. On farm subsidies, the EEC commission claims the manifesto “committed to reconfiguring payments to support smaller traders, local economies, community benefits and sustainable practices”. If so, it was not in the main sections of the manifesto on agriculture or Brexit. This is to leave aside whether supporting small local traders is economically or environmentally sensible. The commission correctly notes that the manifesto pledged environmental quality standards will be improved, but not that little information was given describing how. The HLGT report gives an accurate summary of manifesto transport policies such as increased public ownership and new infrastructure investments. Brexit features strongly in the current issues discussed by the EEC report. We are informed that “leaving the European Union will mean that many of our current regulations and standards, across a wide range of areas, will face uncertainty as the eventual relationship between the UK and the EU and the content of new UK law becomes clear and the content and safeguards contained within the ‘Repeal Bill’ are publicised.” However, much of this felt fatalistic, with no positive agenda put forward. Surely the questions we should be asking are whether current EU protections are sufficient, how to prevent them being removed by the Tories after Brexit, and what Labour actually wants the post-Brexit regulatory regime to look like. The HLGT report also mentions Brexit but provides no details on, e.g., how EU competition directives affect plans for renationalisation of transport. Poor air quality is discussed, but all we are told is that there will be a new Clean Air Act, with no details of what concrete measures are needed. Similarly, while the urgency of addressing climate change is noted, no concrete proposals are put forward to address it. As always when Labour discusses climate change, there is self-congratulation on the 2008 Climate Change Act. What isn’t mentioned is that emission reductions under the last Labour government were no better than under the Coalition, the reductions it pledged were insufficient, or that it had nearly unanimous support in Parliament. The final issue mentioned by the EEC commission is the energy market. While the commission considers markets to have failed in delivering affordable energy and feels that government policy of promoting competition is inadequate, they don’t question its existence. Indeed, they seem to think the energy market was beneficial in the past, stating their desire to “make the energy market work for consumers again”. Markets in energy are a direct result of privatisation, suggesting that the commission believes Thatcher’s privatisations were at one time a good thing. Proposed reforms focus purely on “democratic” local initiatives and “small-scale start-ups”. The only current transport issue discussed by the HLGT report is local bus service. Deregulation of buses is rightly criticised, but the only proposal is “a national strategy for local bus services”. What such a strategy would be isn’t described. Strangely, no reference is made to earlier commitments for bus re-regulation. It remains unclear whether re-regulation would still require councils to use a tendering process like TfL, which is expensive and places a downward pressure on wages. There is no discussion of national bus services, ferries, electric vehicles, air travel, freight, shipping, integration across modes, fare-free transport, or ownership of rolling stock. One striking element of the EEC report is how submissions to the Policy Forum website are ignored if they do not fit the narrative already chosen by the commission. For example, the focus is almost exclusively on renewable energy with no mention is made of submissions (including my own) expressing doubt in the ability of renewables to meet Britain’s energy needs. Similarly, much is made of local, decentralised energy but this is no mention of my submission giving a detailed argument that a centralised system abolishing the energy market is needed. While the HLGT report is somewhat better, they still exaggerate the feedback they receive in areas corresponding to their chosen focus (e.g. bus fares). Also notable is how the reports correctly identify problems (although many are overlooked), but do nothing to discuss solutions. What is particularly concerning is that it appears the EEC commission has heard testimony on what needs to be done, but does not consider it necessary to make this available to party members. The output from these commission is completely inadequate to form policy. I recommend that conference reject these documents in their entirety. It should demand the commissions produce new detailed reports on how to address climate change and build an integrated low-carbon transport system. In particular, the benefits and problems of different low-carbon energy sources should be discussed, along with potential ownership models for the energy and transport. We should also demand a detailed account of how agricultural subsidies are structured within the EU and alternative approaches which could be pursued post-Brexit. If the NPF treats members as adults and provides us with the necessary information then we can finally have an informed debate on what is the best direction for our country. A deservedly scathing critique of the unending waffle from the NPF on Environment, Energy and Transport, Chris. It is hard to take any current or past Labour policy in these areas seriously when it is such “box-ticking” detail-empty waffle. That both Labour and Tory governments have claimed to meet their CO2 reduction targets for many years now via the entirely bogus statistical con trick of importing mega tons of wood chip across the ocean from Canada and burning it instead of (actually LESS polluting)coal in our power stations, tells us all we actually need to know about any genuine commitment to a radical sustainability agenda. As does the complete failure of Labour (and Tories) to tackle the now seriously looming UK power generation crisis by adopting a nuclear component to the energy generation mix . And the current , PFI funded,far too late, Chinese/French project is a likely technologically non-performing , vastly costly , demonstration of what NOT to do when nuclear power generation IS finally admitted to the mix ! As you rightly say, the NPF is still so imbued with a neoliberal mindset that it can only see yet more private enterprise provided “competitive supply” as the answer to the cartel super-pricing in the current energy market. The idea that the UK STATE can once again both build efficient power generation plants , nuclear and others, and efficiently and cheaply supply this to business and private consumers , as it did for most of the post war period, is beyond its imagining ! Conference should refer back all these proposals. But unfortunately the NPF reports have deliberately been kept very quiet so that they will be sprung on an unprepared Conference for rubber-stamping . This is not the way for Labour to break from its 30 year neoliberal diversion. I can understand the Right majority on the various NPF commissions liking this – but what of the Left members ? Where is their voice ? Spot on comment. To be honest, it’s probably slightly better to import the woodchips from Canada (where at least there is lots of forest and our forestry tends to be done sustainably) than to take the approach of some on the Continent and chop down and burn ancients forests which are supposed to be preserved. Arriving back from a visit home this weekend I noticed Heathrow bragging that terminal 2 is heated by wood-chips. They don’t realise that it would be better for the environment to just use gas. There are a number of other ways the government hides greenhouse gas emissions, the most notable of which is that international aviation and shipping (which is to say, most of it) isn’t counted. They also don’t count the “embedded emissions” used to produce imported products. This means that if a UK steel mill closes down and instead the steel is imported from China, this would show up as reduced emissions, when shipping would obviously increase them. Your points about Hinkley C are well made. The EPR they’re trying to build there, while it has some desirable features, looks set to be a massive white elephant. The continued insistence by Labour that it be built in the private sector (with private sector returns) is just stupid. Not only that, but they want a bunch of different companies to build each proposed new nuclear power station and likely to a different design, preventing any economies of scale. The key to doing nuclear cheaply is not to use the latest cutting-edge design for each reactor (not to say these shouldn’t be researched) but to build lots of a standardised design. I’d like to think one of the reasons such bad policies get proposed is because people don’t actually understand how the energy market works. They can’t entirely be blamed as it is confusing and over-complicated. I think a lot of people assume that the company you buy your electricity from is the one generating it. If you think this then Labour’s policies do look a bit better. To be honest, though, I suspect a lot of Labour SPADs know exactly how the energy market (doesn’t) work and want to keep it that way. I’m going to see if I can contact my CLP’s conference delegates to get them to vote against these documents, although I don’t have high hopes. I ask the same question as you of what the left-wingers on the NPF have been doing. I know James Elliot is on the Energy, Environment, and Culture Commission and in our correspondances he seemed to respond well to my previous articles, so why didn’t he raise his voice a bit more? Thanks for a very good analysis. On voting against or referring back this and some of the other reports, or parts of them, this is unlikely to happen unless it is promoted by the organised left (Momentum, CLPD, LRC), but we should be in a good position to pursue this. A political party which declares the aim of changing society radically needs (1) to be very clear about its theoretical understanding of society, (2) to have a clear analysis of the current state of society in the light of that theory and (3) to have a reasoned programme based on that analysis. Without that no deep change can be expected. On that basis I think it can be said that the reports of the various Policy Commissions to this year’s Annual Conference are a clear indication of Labour’s Achilles heel: it has no clear idea of what it stands for in the face of the current dominance of global capital. Even to state the problem like that seems bizarre because these reports contain hardly the slightest hint of the the way powerful private interests dominate our political agenda in any of the areas covered by the Policy Commissions (the Economy, Business and Trade Commission is a partial exception). The slogan “For the many not the few” has no concrete content, it is hollow. The reports are a pathetic response to the political challenges we face and even at face value are obviously totally inadequate with their lack of consideration of clear solutions to our problems (let alone alternative solutions), the lack of argument and the lack of references. This energy report which Chris has analysed so well is just another example. Nothing was done to stimulate informed comment from members. The draft report provided no serious outline of the issues. Even so such comment was provided (starting with the materials produced by Chris) but this anodyne report gives no indication of what was done with such materials. If these reports all go through on the nod and not one of them is referred back on the grounds of alarming inadequacy then this will be a sure sign that Labour under its left leadership is not getting its act together and that it is the old pragmatic approach of seeing ‘what works’ in the moment with no overall analysis which still dominates. No truly radical government strategy is possible on such a basis. To my knowledge this website is the only one which has attempted a systematic discussion of the various reports (five out of eight have been covered and one more review is promised). Nothing of the sort has been attempted by LabourList, the CLPD, the LRC (either flavour), Labour Uncut, Left Foot Forward, or anyone else. This makes the lack of participation of left Labour activists in the NPF, the NEC, the Policy Commissions, and other higher committees of the party all the more inexplicable. Labour might be the largest self-styled socialist party in Europe but on present performance it may also be literally the dumbest when it comes to policy discussion. If policy matters continue to be treated so negligently the chance of Labour delivering on its promise to the hundreds of thousands who have joined its ranks wanting a radical break with the policies of the past is, I fear, zero. All very depressingly true, David. The utter lack of interest in analysis, theory, or policy formation by the self-identifying Labour “Left” across the board is peculiar to say the least. In my political infancy, in the 1970’s , admittedly on the Revolutionary Trot Left, not the Labour Party, one couldn’t STOP sundry Lefties churning out theoretical tracts at the drop of a hat. Whereas today, the tiny “revolutionary ” sects just regurgitate the old certainties , with no real interest in new analysis, and the reformist Left seems to have given up on developing any analysis at all – instead being content with the, as you say, utterly vacuous slogans like “For the many , not the few”, and “no one gets left behind” (nicked from the US Marine Corps ). Left Futures nor any of the other Left “discussion” sites are proving to be vehicles for the required searching analysis and discussion as a Corbyn-led Labour government becomes a real possibility. In the vacuum of contributions on Left Futures the gap is being filled by endless reprints of space-filler stuff from Phil B-C’s blog, O’Leary’s pro EU stuff, and other reprints – with none of these contributors willing to engage with comments made. I’m afraid this lack of analysis and Left policy development (and utter lack of SOCIALIST analysis particularly), will leave Labour trapped within the Labour Right’s neoliberal narrative by default. This will be a future disaster of Syriza-like proportions for the UK Left if not remedied. John, we agree on most points. I would just like to say that the problem with O’Leary’s pieces is not that they are “pro EU” – there are still serious debates which need to take place on that issue – but rather that they are just very poor quality. Agreed, David. O’Leary’s reprinted articles are poor, not because there isn’t a coherent Left argument for staying in the EU and/or Single Market, there obviously is – but because his constant use of skewed, selective data, is so intellectually dishonest. And neither he nor most other of these contributors will ever deign to come down from their elevated podiums to debate with the comments of posters on their articles . Yet Left Futures advertises itself as a forum for Left debate. This is depressingly accurate. I wish I knew how we fix this, but I don’t. It seems like most people in Labour just aren’t all that interested in these topics. The only thing I can think of to start addressing it would be trying to organise reading groups. However, even if there were a decent level of interest, these would take quite a long time to start producing results. I often read Jacobin Magazine articles online and I listen to a variety of leftist American podcasts. Of course, in terms of numbers the socialist movement is far weaker in America than in Britain. However, what is quite striking is how much more sophisticated their level of analysis is. Jacobin has tens of thousands of subscribers (plus many more online readers) who are exposed to in-depth (although, admittedly, not deeply theoretical) Marxian analysis. I’ve listened to podcasts (some of which have very high listenerships) which have give in-depth interrogations of issues such as UBI, the prison abolition movement (a peculiar American phenomenon), specific reforms needed to the American healthcare system, the relationship between identify and class, middle eastern politics, etc. The only outlet I can think of here which is remotely comparable is Novara Media (maybe, on a good day, Red Pepper), although they can get a bit odd sometimes. The fact that the American Left, of all things, is so far ahead of us on leftist theory shows how far we still have to go. Instead, the British Left seems more interested in protest, resistance, and the rituals of activism. What is especially odd is how the American Left is looking on at Momentum and the Corbyn project with envy. I get that they’re excited about the idea of someone historically associated with the Left becoming Prime Minister and at the number of people here who support a broadly left-wing project, but the complete lack of critical analysis is striking. It reminds me of a comment I heard once that rather tahn News from Nowhere, the Left now clings to “news from somewhere else”. We get irrationally excited by any gain made by the international Left, assume they offer the model to follow, and then get upset when they encounter setbacks. The Left needs to wake up to the fact that challenging capitalism is hard, we have yet to see it done successfully, and we need to develop a very sober analysis of how to go forward. One great difficult in trying to overcome the absence of more thoughtful discussions on policy is that much of the interactions in geographical sensible areas takes place in CLPs. CLPs only operate at one level, quite legitimately wishing to allow equal access to all members. One consequence of this of course is that contributions at CLP meetings are usually limited to one (3 mins max) contribution less we dominate the discussion from others, some of whom cannot address focused questions well. If CLPs were to get comfortable with the meetings designed to occur at multiple levels to allow more focus and depth then some advances could potentially be made. Any attempt at such a thing would not be taken at face level but considered as a subservient attempt to ‘fraction’ – which of course in the end it would always seem on account of its output favouring one perspective. One root of the difficulty is therefore the distrust so rooted in the organisation which prevents sincere attempts to move forward.